To go along with Shane’s article on tech gifts under $100 yesterday, I will be giving ideas for items that are priced in the $100 to $500 range. While anyone should appreciate most of the things on this list, the ideas are more for yourself for if you happen to get a lot of cash during the holidays. With larger gifts like these, you should know if the receiver would really want it first before buying. You might buy them the wrong brand, or the warranty wouldn’t be in their name, etc. Usually, it’s better to just leave bigger purchases to the person who wants it. Everyone needs a decent sized monitor for their computer. A good size is in the range of 20-24″. If you already have one, get another to boost your productivity! You can also use your monitor for HD gaming consoles as well, providing you get one with an HDMI input which shouldn’t be a problem. 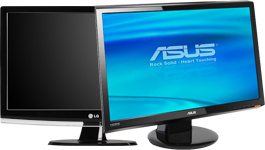 I’d recommend ASUS and LG monitors but there are many other good manufacturers as well. It is a lot cheaper to build your own computer by buying the components separately and then assembling them yourself. For under $500, you could build yourself a decent gaming PC that would be able to play almost all current games on medium to high quality. If you need help with this, feel free to make a topic on our forums in the Tech Talk section, stating your budget and what you’d like to be able to do with your computer and members of our community will be happy to offer suggestions. If you aren’t into PC gaming or there are some console exclusives you’d like to play, you could think about getting one of these. Most people would only get one out of three of the current generation of consoles. The Wii is oriented around family gaming and is the best for in person multiplayer, but if you like fps shooters, playing online with friends, or HD resolutions, the wii is not for you. The choice between a PS3 or 360 mostly comes down to which one of the two you have more friends on already so you can play online games with them. Other factors in your decision might be if the cost of xbox live is worth it over the others being free, and which console exclusives you like better. Something I’ve wanted for a long time is a good set of speakers. I have a 2.1 now and it sounds alright for music, but for games and videos it would be nice to have the extra experience of telling where the sound is coming from. 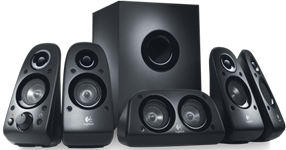 The Logitech Z506 speakers look like a pretty good set having multiple inputs and a decent amount of power at 75 Watts. Right now the price of them is just above $100 making me almost want to get them right now. For when you need to turn down the volume from bothering other people, you can use this instead! This ain’t no simple headset for chatting with people however, it’s a 7.1 Surround Sound headset designed for PC gaming. You will hear exactly where your enemies are coming from giving you an advantage. I expect music would sound a lot better on it too with a bigger range of speakers. Anyone who has an HD TV needs one of these to get the most out of their TV when watching movies. 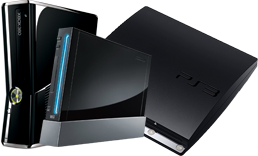 If you are interested in gaming, you could combine an item above and get a PS3 since it uses a Blu-ray drive. You don’t necessarily need an HD TV, you could use a Blu-ray player with your LCD monitor for high quality viewing as well. TVs and computer monitors are quickly becoming the same thing with the only difference being that one has a TV tuner and the other doesn’t. It is hard for me to recommend this to most people but I do understand the appeal of it. I believe the market for the iPad is really niche and if you are thinking of getting one you should carefully consider what you’d be using it for to see if it would be worth it. For on-the-go browsing and games, a smartphone might be a better choice, for typing and more serious work, a laptop or netbook might be a better choice, and for reading books/articles a smaller tablet designed for reading might be a better choice because of the glossy screen. I haven’t put any of those things on this list because they are out of the price range of the article unless you don’t include the price of a 3 year plan when purchasing a phone. The biggest thing apple has done right with the iPad is the price, there still aren’t any good competitors that offer the same level of features at a similar price.